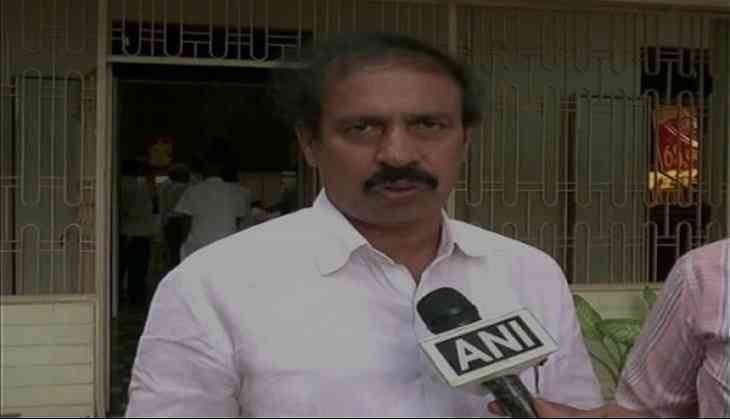 Communist Party of India ( CPI) state secretary K Ramakrishna slammed Andhra Pradesh (AP) Chief Minister (CM) N Chandrababu Naidu for allegedly purchasing votes during elections. "In all the elections, he purchases votes. He not only purchases the votes of the public, but also the votes of Telugu Desam party. He purchases the votes of his counselors, Zilla Parishad constituency members and MLC candidates as well," Ramakrishna told ANI. "He wants to spend more than 10-20 crores in each constituency. Even in the upcoming Nandyal assembly segment, I can assert that he is going to spend crores of rupees on that. He has even said that he is ready to pay Rs 5,000 per each vote", he added. Condemning the Chief Minister's actions, Ramakrishna said that the government is the trustee of people's account, which is being openly violated. Citing the example of the Election Commission (EC) quashing the RK Puram constituency elections in Tamil Nadu, the state secretary suggested the EC to taking precautionary measures in the state to curb such wrong attitude. "EC cancelled the RK Puram constituency election in Tamil Nadu. The AP CM is heading towards the similar attitude. The commission should take all the precautionary measures to curb this attitude", added Ramakrishna.